First of all, there is nothing mini about this palette. The pan sizes is about the size of a MAC, MakeupGeek or Colourpop single pan shadow. But, compared to Juvia’s Place regular generous pan size I guess this would be a mini. Just don’t expect this to be cute and pocket sized. I am more than happy with the mini size though, because I will probably never go through a palette anyway. I am a collector at heart, not a user. Packaging is in the usual Juvia’s Place style. A cardboard non-mirrored packaging with some funky ladies on the front. Together with the bright colors of the palette it looks funtastic. And No, I did not just do a typo, it is fun! The inside is even more fun! I mean just look at those delicious blues! At first glance I thought it looked quite colorful, but only the two first rows are really colorful. The two bottom rows are nice browns, both matte and metallic, making this palette super versatile. The metallic shades are the usual great Juvia’s Place quality. They are super pigmented and very rich, but also a bit dense in consistency. Full impact of color is no problem here, and they apply smooth and rich. I do find that I need to use a bit heavier hand when picking them up, due to the dense formula, and I prefer using a flat synthetic brush. The only one that needed a bit of build-up was the purple shade “Makeda”. Two of the shades, Bori (pink) and Cairo (Copper on third row) are of those shades with a matte base, and fine glitter throughout. I don’t like this particular eyeshadow formula. Not for this palette specifically, but in general this is something I don’t like. I find that applied the glitter flecks does almost nothing, and very often it will just travel around your face throughout the day, and I don’t appreciate my eyeshadow glitter having a holiday on my nose and cheeks. Bori does however perform quite like a matte though, and the glitter seem to disappear at least when using a fluffy brush and no tacky base. The glitter in Cairo does show up more. I didn’t really have any glitter issues with it either, but having a tacky concealer as a base probably helped. If is just not my favorite formula that’s all. The mattes are easy to build up and blend easily too. They are a bit lighter than they look in the pan, as you can probably tell by the swatches. They can be built up but especially the browns are a few shades lighter than it appears like in the pan. As with all Juvia’s Place palettes I own, the metallics really steals the show, both when you look at the palette and when you apply them. I love the formula of them. The mattes are also good, but I kind of feel they are better in The Magic Palette. Not to say that these are bad, but they are not true to color, they are lighter then what you see in the pan, and they require some build-up. On the other hand they are easy to control and blend, so very user friendly. The overall composition of the palette is good with approximately 50% colorful shades and 50% neutral. With that combination this palette has a bit of everything for every taste. It is not perfect though. Burkina and Fulani are very similar to one another, and so is Zulu and Ada. They are very similar in the pan, and on the eyes I was not able to tell them apart. I think this palette would be even better if two of these shades were replaces with a very dark brown or black, and maybe a matte blue or green to match those gorgeous metallics. It just seems like a bit of waist of space to have four shades appearing like two. Not that any of those shades are bad, they are just too similar in my opinion. Price point is excellent as always with these Juvia’s Place palettes and with 16 shadows, including some exceptional metallics, for only 25$ there is nothing to complain about. I really to like this palette, and would absolutely recommend it if you are picking it up for the metallic shades. If the mattes are what you are drawn to I am not sure. Again, they are not bad, but they do have some drawbacks you can easily avoid in other eyeshadow palettes. I love the looks I created with this though, and especially the two first rows speaks to my heart and soul. I could easily take this palette traveling with me without missing anything (except a good black and a base shade, but that is easy to add in addition). This palette really does have what it takes to lure out some creativity, and I had a blast creating looks with it. If I should recommend you get only one palette from Juvia’s Place I would still recommend The Magic Palette as your first choice, but this is a great option for someone who wants both neutrals and colors. 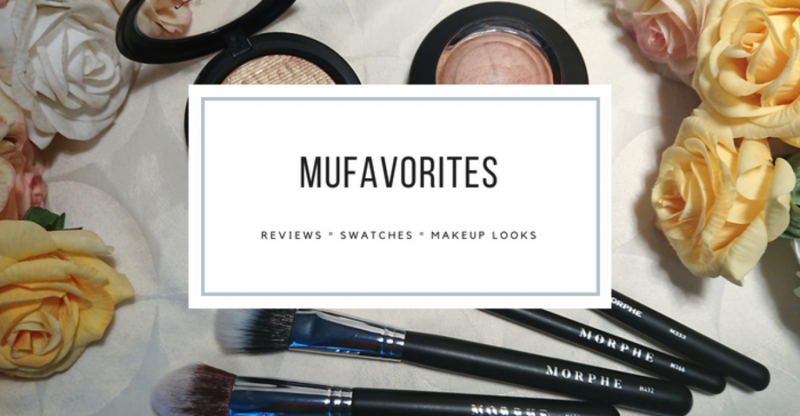 My Makeup Collection 2018 – Powders! That’s a gorgeous swatch you did on your arm darling!!! I wish ai could make mine look like that but they just look crazy. You are a pro!! Oh my god the pigmentation! Woah!! I cannot get over those swatches and colors- STUNNING. Your swatches are perfect! Holy crap!